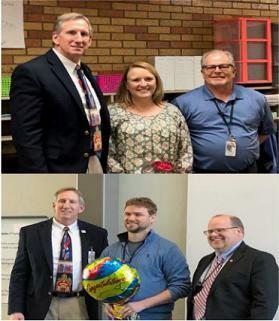 A couple of Salina educators received some unexpected good news Monday when the Salina USD 305 School District announced its 2019 – 2020 teachers of the year . 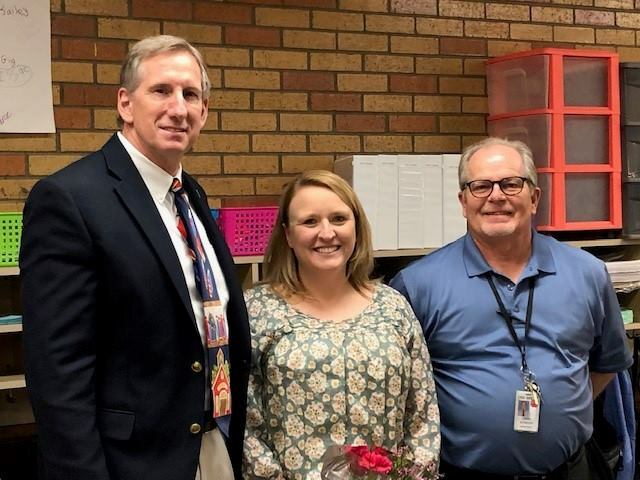 Kylee Comeau is the USD 305 Elementary Teacher of the Year for 2019-20. She is a 3rd Grade Teacher at Sunset Elementary School. 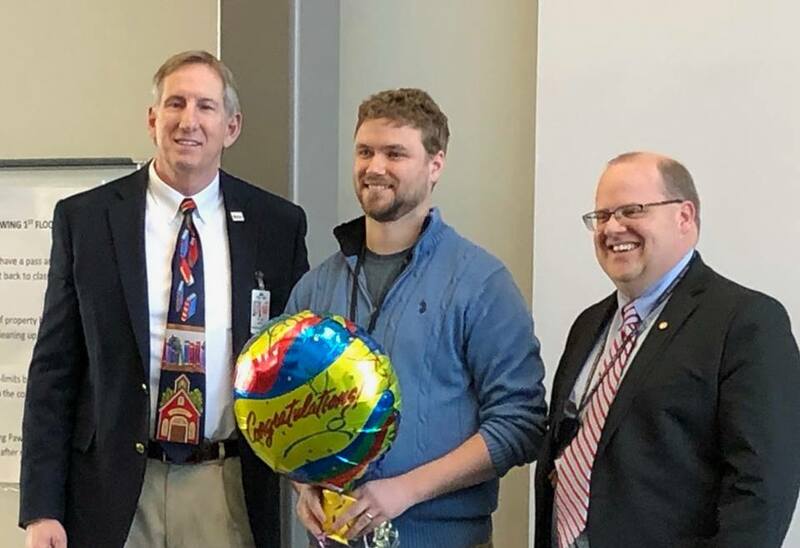 Charlie Todd is the USD 305 Secondary Teacher of the Year for 2019-20. He is a math teacher at Salina South High School. USD 305 Superintendent Dr. James Hardy showed up in each teacher’s classroom and surprised them with the good news. Both teachers will be honored at a later date in Salina by the USD 305 School Board, and by the Salina Education Foundation. Each year two instructors are nominated for the Kansas Teacher of the Year program. 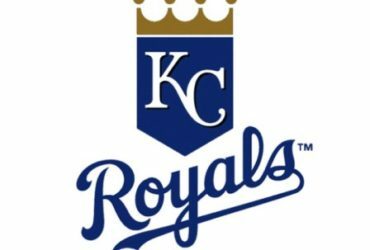 The awards are sponsored by the Kansas State Department of Education and affiliated with the National Teacher of the Year program.